Xiaomi Smartphones Get Android 8.0 Oreo Update: The Google has just launched the much-awaited operating system update, Android 8.0 Oreo after months of rumors and speculations. As we know that the search giant will first make the OS available to its smart devices such as Pixel, Pixel XL, Pixel C, Nexus 5X, Nexus 6P, and Nexus Player before other OEMs (Original Equipment Manufacturers) seed it to their popular Android devices. According to reports, Chinese smartphone maker Xiaomi, which has become popular over the last few years, is also expected to incorporate the firmware to several of its smartphones, which include Mi 5, Mi 6, Redmi Note 4 and Mi Mix. 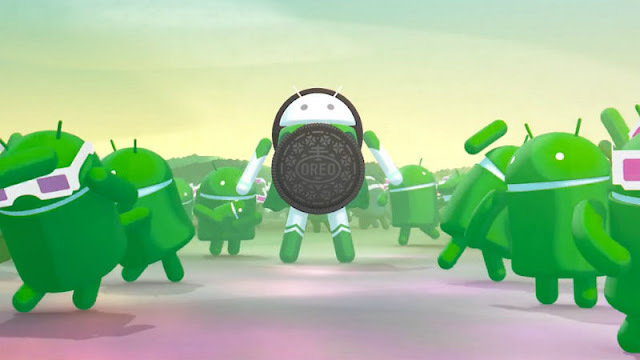 Android 8.0 Oreo comes equipped with several interesting and advanced features, which help to boost the performance of the smart devices, which include New Notifications, Support for Picture-in-Picture Mode, New Emojis, Improved WebView API, Multiple Display Support, Improved Doze Mode and much more. While Xiaomi has not officially declared the complete list of its handsets that will get the Android 8.0 Oreo update, rumors have it that Xiaomi devices. like Xiaomi Mi 6, Xiaomi Mi 5, Mi Mix, Redmi Note 5A and Redmi 5X will receive it. Meanwhile, a Quora user named Moin Khan has claimed in his response to a query that over a dozen Xiaomi devices would get Android 8.0 Oreo update, and they are — Redmi 4A, Mi 5C, Redmi Note 4, Redmi 4X, Redmi Note 4X, Redmi 4, Mi Mix, Mi 5S, Mi 5S Plus, Redmi 3S, Redmi 3S Prime, Mi 5, and Redmi Note 3. However, he did not mention the latest Xiaomi device Mi 6 and it’s not sure that if he intentionally didn’t include the device or just missed it. Just to note, in the past Xiaomi hasn’t been great in terms of rolling out new Android update to its devices. So, it is likely, the Mi 6 will not receive the Android 8.0 Oreo update before the beginning of next year before expanding to other eligible handsets.